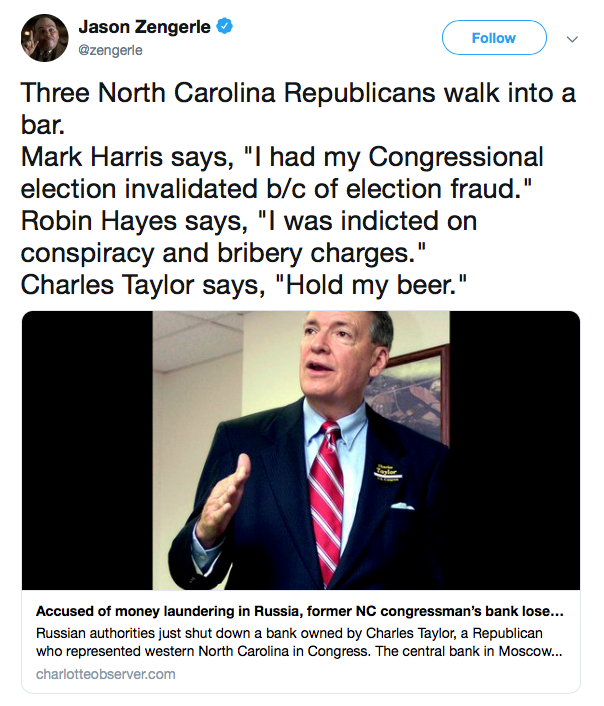 …begging the question, Does Thom Tillis stand by his statement and by now-indicted NC GOP chairman Robin Hayes? This week, Governor Cooper signed Executive Order No. 93 banning state agencies from requesting the salary history of prospective employees. 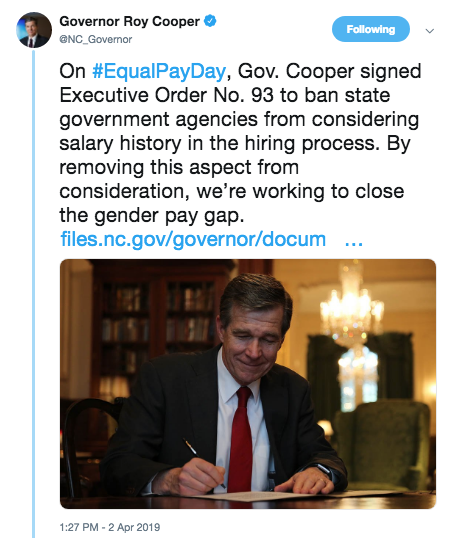 Requiring salary history perpetuates the wage gap between men and women and eliminating the practice is a huge step toward ending wage discrimination in North Carolina. This week, DEQ announced its decision to require Duke Energy to excavate all remaining coal ash sites in North Carolina. While Republicans downplayed the impact of coal ash, Governor Cooper and his administration made protecting North Carolina’s environment and public safety a top priority. … making it easier to register to vote… ensuring equal pay for equal work.